"Wine is just a drink. If it's not delicious, it's not worth talking about," explains Japanese winemaker Atsuko Radcliffe matter-of-factly. Speaking from her cellar door in the Upper Hunter Valley, roughly 250 kilometers northwest of Sydney, Radcliffe talks about wine in a casual and approachable manner, without the jargon one might expect from a winemaker of her caliber. "It's not about whether it's (made from) 100 percent Chardonnay (grapes) or how long it's been casked," she continues. "If it's not good, it's not good." Perhaps Radcliffe's humble attitude to wine is the secret to her success. 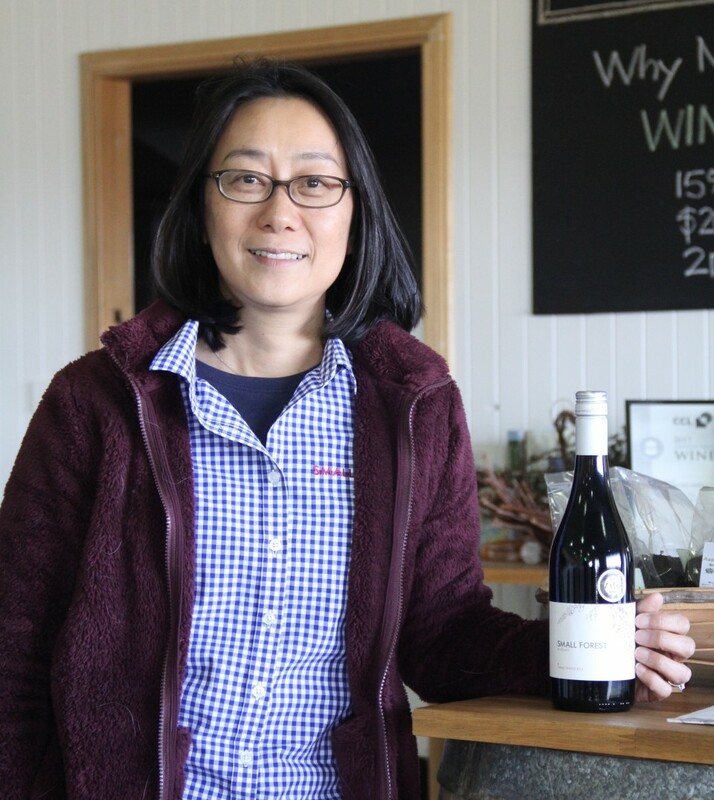 Almost 20 years since first visiting Australia from Japan as a viticulture consultant, Radcliffe established her very own winery in 2013, where her first vintage took home a silver medal at the International Wine Challenge in 2017. "I was really happy to receive silver there," she says, referring to the London-based competition, the largest of its kind in the world. "I'm a sake judge for the IWC so I know how tough they are judging wines." In the five years of running her vineyard, Radcliffe has produced a range of wines -- sold in Australia and Japan -- including her award-winning 2014 Shiraz. She also released a delightfully drinkable 2016 Golden Verdelho, a limited edition "orange wine" created by leaving the skins and seeds of white wine grapes in extended contact with the juice, producing a deep golden color and creamy texture. Since 1999 Radcliffe has permanently called Australia home. However, the award-winning winemaker still keeps her Japanese roots close to her heart. Her vineyard's name, Small Forest, is a translation of Radcliffe's maiden name Kobayashi, while the images of wisteria on Small Forest's labels are a hat tip to the family crest. And it was through a dalliance with traditional Japanese brewing, that Radcliffe came to work in wine. "During my student years, I only drank sake," Radcliffe explains. "At that time, places called 'wine bars' were popping up here and there, but we often saw them as a bit pretentious." Radcliffe studied brewing and fermentation at Tokyo University of Agriculture to earn a degree in microbiology and biochemistry with the hopes of becoming a sake brewer, but as a woman found herself unable to pursue a career making the traditional Japanese rice wine. "Back then, the sake industry did not feel welcoming to women at all," she said, adding that while sexist, it was important for the industry to protect the traditional craft. Having given up on her hopes of becoming a brewer, Radcliffe found herself making wine by chance when a friend approached her about a job at Coco Farm & Winery in Tochigi, north of Tokyo. However, Radcliffe says it was only after coming to work at vineyards in Australia that she came to appreciate the intensity of the winemaking industry. "At that time, they (the Japanese wine industry) were overthinking things. They talked too much, thought too much, so they couldn't move forward." "In Australia, and probably other countries too, (there is a mentality of) if you don't try something you won't get a result. If you don't challenge something, nothing will come of it," she explains. "I think that's great, that pressure. I think it's because of that mentality that Australian wine is wonderful. It's an intensity you cannot experience in Japan." But Radcliffe, who encourages drinkers not to be "overly fussy" when it comes to consuming wine, says her own wine philosophy stems from her time in Japan. In 2008, Radcliffe was able to achieve her university dream of creating sake when she was invited to briefly work at a brewery in Shiogama, Miyagi Prefecture, in northeastern Japan. "Shiogama is, honestly, such a wonderful place," Radcliffe says describing the small port city as one that is blessed with high-quality seafood and agricultural produce. "Because the people who make sake in Shiogama are eating such delicious foods, it goes without saying that their sake is also delicious." "Thinking back on that experience, I realized I wanted my life to be reflected in my wine; in the process of making the wine, how I've approached it and things like that." As the owner of a small vineyard, Radcliffe believes she does not need a large customer base moving forward but wants to find drinkers who enjoy her craft. "My ultimate goal is to make delicious wines, but as a winemaker I think it's important to express how I feel and show what I appreciate about living in this land, through my wine."